If you’re paying more than 2.5 cents for text messages – it’s too much! 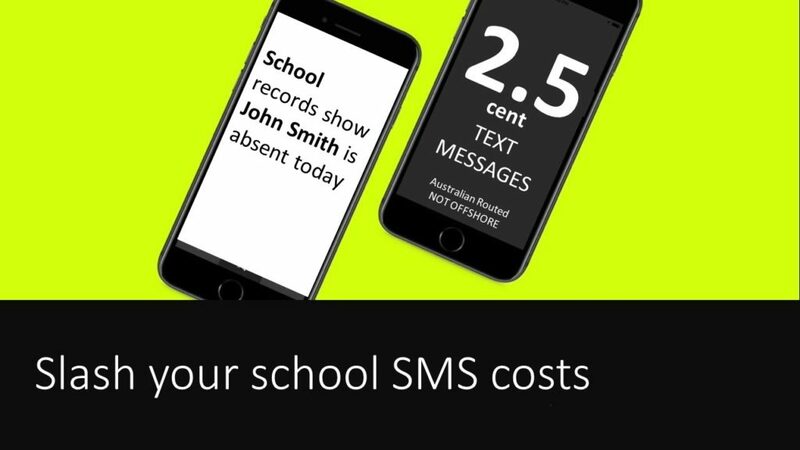 Now in 2017, we’ve invented a much better, cheaper and more effective way for Schools to message parents, there is no reason to spend more than 2.5 cents per text message. Schools can now send personalised, secure text messages of unlimited length (160-character limits no longer apply) for as little as 2.5 cents. It’s like Apple iMessaging, with MGM’s new Schoolstar Messaging and News App – schools can send secure, private and personalised absence messages (or any other messages for that matter) via the internet (or Parents data connection). There will always be parents that run out of mobile data, have no WiFi or don’t download the App. In these cases, and just like iMessaging, Schoolstar automatically switches to using SMS instead. That way – schools can always be certain that they’ve contacted all parents. Parents just download the Schoolstar App from the App Store or Google Play for free, register and if they’re a registered parent or caregiver – they can immediately get access. Messages will thereafter be automatically sent by Schoolstar using in-App messaging for as little as 2.5c a message^. Parents can reply for free. What else can the SchoolStar App do? Schoolstar is just like Facebook, Messenger and Google Analytics rolled into one – a beautifully presented SECURE app. Just like Facebook, it allows you to post school news and notices as it occurs. Just like Facebook Messenger, it allows schools to send 2-way messages, and just like Google Analytics, schools can view how many parents are actively using your app, their names, and which news posts they like and are reading most. This allows you to measure, analyse and refine your parent engagement strategy and much more. Auto Switchover to SMS – how much does it cost? At MGM, we understand the importance of data security. That’s why we only use Australian routed SMS, which means your parent and school messages will never be sent off-shore, sold to spammers for advertising purposes and you’ll never experience high message delivery failure rates. Because we only use Australian SMS – our prices are slightly higher than grey market SMS – but still very reasonably priced from 8.9 cents per SMS! It’s simple – Schoolstar In-App messaging will save your school money! Whilst the exact level of savings you’ll make will depend on how many parents download the app, one things certain – for every parent that does, you’ll save a whopping 75% off your SMS messaging costs!